I really don’t recall when Bryan Rathke became a role model, it seemed like he was there forever — sometimes boldly in front, other time quietly in the background, but always there. Somewhere in those early AAU age group years he kept order. Those formative silly days, he corralled us from running around the pool deck, stopped us from snapping each other with towels too often, kept track of the atomic sit-ups, and if we got into real trouble, the famous “60-second” treatment wasn’t far behind. Let’s suffice it to say with Bryan you knew where the rules were and where you stood. As we got older he kept us on task both in school and in the pool, keeping us focused on doing well while also teaching us life lessons. He used swimming as a teaching tool to focus us on how to achieve goals, do well in life, and go outside of our comfort zones. I remember early on learning that he was one of the 50 fastest butterfliers in the world, until a guy named Mark Spitz came along. I was always awed and impressed by this, as he would challenge us kids to races and easily whack us off one at a time. I don’t think anyone ever beat him. At the same time, he somehow understood that fun and tradition was essential to life; a way to mark our path for others to follow. He let us play, grow, and have fun — but you always knew he expected more, better, faster. Somehow, he fostered into fierce competitors a group of ragtag kids. He taught us to respect each other, making us into winners with the winningest duel meet record in the history of Indiana. None of us were Olympians, we had a few state champions, but what turned us from good to great was that we were always a team. Let’s be honest, we were average kids — Bryan molded into winners. As we graduated and went our own ways, some kept in touch regularly, others less so. As the years went on, we would run into one another and the conversation would naturally drift back to coach. What’s he up to, how’s he doing, still swimming? Nope, but his kids are. Who’s winning for him now, etc. Some went on to coach themselves, and became even more successful. Was he the only influence? Of course not. Chris Shorthouse himself a kind persistent leader was always present. Older swimmers who learned under Bryan gave lessons to us younger kids along the way, names like Gibson, Neff, and Fult to name a few. Swimming is one of the unique activities in life that forces someone to display themselves publicly. It forces you to become confident, a better human being both inside and out. Bryan took each one of us, like an unpainted canvas, and added color, texture, waves; working with parents, teachers, and friends to support and guide us to adulthood. Nowhere across the spectrum of lives Bryan coached do you find a loser, a failure. That’s really the amazing takeaway. Thank you coach. I’ll see you someday, but not just yet, I’ve got some more laps to swim. 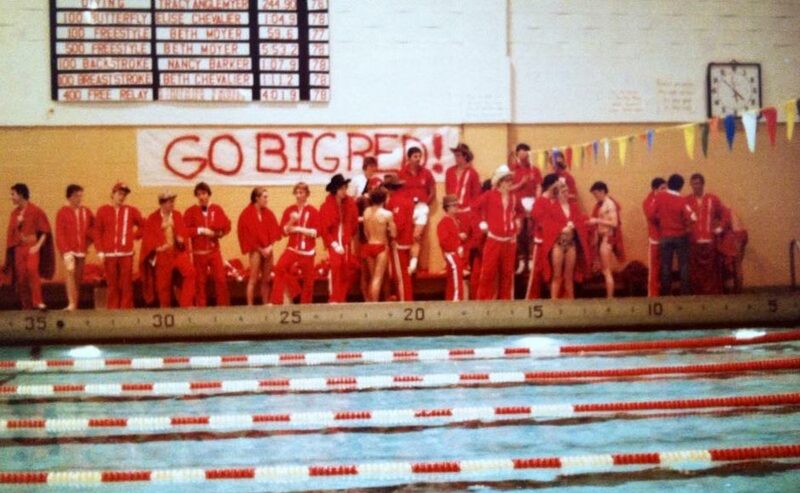 Bryan Rathke served as the Goshen High School boys swimming and diving coach from 1968-1983 — and 1992-1994 and girls swimming and diving coach from 1991-1997. He led the boys to a record of sixty-one consecutive dual meet victories. 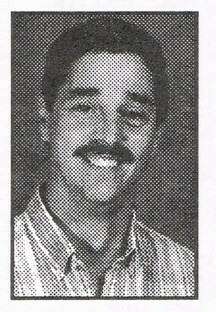 Bryan was named NLC Coach of the Year five times. While he was the coach, GHS had six undefeated seasons, twelve Goshen Relay Championships, twelve NLC Championships, seven Sectional titles and a 176-38 dual meet record. Bryan F. Rathke, Goshen News obituary. This story was submitted by Don Macdonald. You can read more about him at one-stroke-at-a-time.blogspot.com.